As if we needed an excuse to visit sunny San Diego, Tech Cocktail is excited to be hosting another Tech Cocktail Mixer & Startup Showcase in the beautiful San Diego on Thursday, May 8th. We are excited to announce the awesome companies that were selected to showcase and show off their “goods” below. Make sure you join us at Analog to meet these revolutionizing startups and see them compete for a spot as the Nation’s Hottest Startup. We’ll have a gaggle of startups on hand, showcasing their goods, but before the event kicks off, we want to know what you think: Who is San Diego’s Hottest Showcasing Startup? Let us know your thoughts by answering the poll at the end of this post (ends at 6:00pm local time on the day of the event). The winner will be announced live at the event and will receive recognition in the editor’s note of the weekly newsletter and added press recognizing the honor of being elected San Diego‘s Hottest Showcasing Startup, as well as a chance for a spot at this year’s national competition, Tech Cocktail Celebrate. 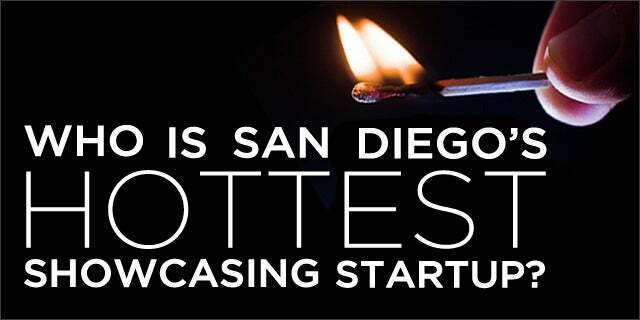 Who is San Diego’s Hottest Showcasing Startup? Airbitz Inc – Airbitz Inc. helps with overcoming the difficulty of using bitcoin which a vast majority of the population encounters when attempting to utilize the currency and payment network. We accomplish this by making the technology easy and familiar to mobile online banking while still providing the security and privacy inherent to Bitcoin. Also, Airbitz’s efforts are advancing the bitcoin economy by easily connecting consumers to bitcoin accepting merchants. Allre – Allre is the exclusive online marketplace for buyers and sellers to complete an entire real estate transaction online with no agents and no commissions. Allre provides every tool you need to complete the sale, only previously offered through an agent. The entire transaction is automated and transparent. In 2013, 45% of homes sold were not sold through the MLS. Allre is the landing place for those transactions. Integrated and partnered with the best in the industry so your entire transaction is seamless and in one place. FRS National (title and escrow), Guaranteed Rate and Prime Lending (mortgage), miiCard (online identity verification), Kevo (Bluetooth enabled locks), Stewart Speciality Services (insurance) and Sertifi (online signatures). Welcome to Allre, we look forward to saving you loads of time and money on your next home purchase or sale. BizeeBox – BizeeBox solves the problems created by disposable takeout container waste. A disposable takeout container begins its life as a virgin natural resource somewhere which is then extracted or grown and harvested, processed into a material, manufactured into a container, sold to wholesalers, warehoused, and then sold to one of the more than 600,000 restaurants in this country. And let’s not forget the transportation involved every step of the way. The disposable is then used once, usually for only a few minutes, and then disposed of. Despite recycling and composting programs, most disposables end up in the landfill or, worse, in our environment. Even worse, disposables do not even meet restaurants’ needs as far as performance. They fall apart, leak, and don’t insulate well … and that even applies to the more expensive models. In summary, consumer needs aren’t being met and we are all bearing the costs of the economic and environmental impacts. Chef’s Roll, Inc. – Chef’s Roll, Inc. enables professional chefs to showcase their unique talent, career achievements and craft, so they can stand out in the culinary world and connect with opportunities. CrowdClock – CrowdClock gets rid of hold times by making appointments instant. Consumers can make appointments through our smartphone App, our Web App, Widget, WordPress plugin, Facebook App, and through our partner sites that have embedded CrowdClock into them. We make appointments fun, easy, and instant. We’re on a mission to get rid hold times where our users get to choose exactly when to set an appointment instead of being at the mercy of voice mails, emails, and juggling act of the phone. We’re giving the power back to people to choose. HouseCall – HouseCall is bringing back community trust. HouseCall Pros are the people that live and work in your neighborhood. They use mobile technology to match their location to yours, and allow-in only the best, background checked folks. Independent professionals who know the importance of serving each customer like a friend. They show each pro’s price ahead of time for the things you need to get done so you don’t have to waste time calling for quotes. When it comes time to pay, everything is automatically taken care of with the credit card you have on file. RockMyWorld, Inc. / RockMyRun – RockMyRun solves problems present for both consumers and wearable device manufacturers. Each month, there are more than 5 million Google searches by consumers pertaining to music for fitness and exercise. RockMyRun provides intelligent and personalized music designed for exercise, saving the consumer time and boosting performance.